The official video for DJ Khaled new hit single “All I Do Is Win” featuring T-Pain, Ludacris, Rick Ross & Snoop Dogg which is off of his new album, VICTORY, in stores NOW! (July 9, 2007 – New York, NY) Call it the ultimate mixtape event of 2007, as STRENGTH IN NUMBERS showcases the label’s family of artists on 12 brand new previously unreleased tracks, set to arrive in stores on August 28th. In addition to multi-platinum DTP core artists Ludacris, who is CEO of the company (distributed worldwide by Island Def Jam Music Group), and Bobby Valentino, the new comp­ila­tion stars (in alphabetical order): Block Xchange, Brolic D, Chingy, I-20, Serius Jones, Steph Jones, Lil’ Fate, Playaz Circle, Shareefa, Shawn Jay, Shawnna, Small World, Smoke, and Willy Northpole. With one exception, every track on STRENGTH IN NUMBERS is a collaboration of two or more DTP artists. In advance of the album’s street date, two tracks have been singled out for impact last week and this week at all radio Mix Show formats: “Duffle Bag Boy” by Playaz Circle featuring Lil’ Wayne; and the album’s opening track, “Celebrity Chick” by Ludacris, Chingy, Steph Jones, and Small World. Looking ahead, “Duffle Bag Boy” will impact at Urban radio on July 23rd; on the same date, “Celebrity Chick” will impact at the Rhythm format, and on August 27th, it will impact at Pop radio. The video for “Celebrity Chick” was filmed earlier this week in Los Angeles, and is expected to premiere in mid-July, date to be announced shortly. Also, look for a special BET “Access Granted” feature on the making of the video on July 18th. The video for “Duffle Bag Boy” will be shot soon. 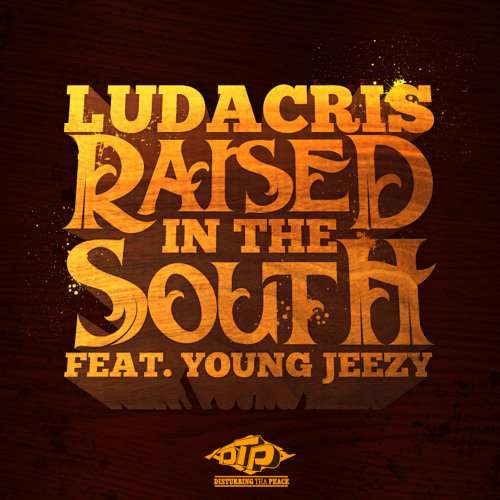 STRENGTH BY NUMBERS marks the third time that Ludacris has dedicated an entire album to spotlighting his label roster. After debuting in 2000 with his triple-platinum Incognegro (aka Back For the First Time, with “What’s Your Fantasy” and “Southern Hospitality”), followed in 2001 with the triple-platinum Word Of Mouf (with “Area Codes,” “Move B***h,” and “Saturday (Oooh Oooh! )”) – 2002 brought Golden Grain. The 15-track album presented tracks with Shawnna, Lil’ Fate, Tity Boi, I-20, and others (as well as guests Scarface, Mystikal, and Too Short). Luda came back strong in 2003 with the double-platinum Chicken-N-Beer, the #1 Pop/#1 R&B, success that gave him his first across-the-board #1 Rap/#1 R&B/ #1 Pop cross­over hit, “Stand Up.” It was followed by the double-platinum The Red Light District in 2004. The second DTP compilation was released in December 2005, Ludacris Presents … Disturbing Tha Peace. The 17-track package that starred Ludacris, Bobby Valentino, Shawnna, Playaz Circle, Lil’ Fate, I-20, Shareefa, Field Mob, Lazyeye, Norflck, as well as guest shots by Jamie Foxx, Stat Quo and others. The platinum Grammy Winning Release Therapy, the most recent solo album by Ludacris, was released September 2006, and spun off the #1 single “Runaway Love” featuring Mary J. Blige.